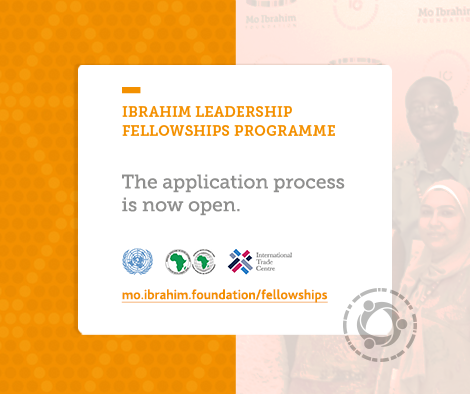 Applications are now open for the 2018 Ibrahim Leadership Fellowships at African Development Bank, International Trade Centre and Economic Commission for Africa. The Fellowships form a selective programme designed to mentor future African leaders. Through this annual programme, we seek to deepen and broaden our growing network which continues to contribute its skills and learning to a better Africa.